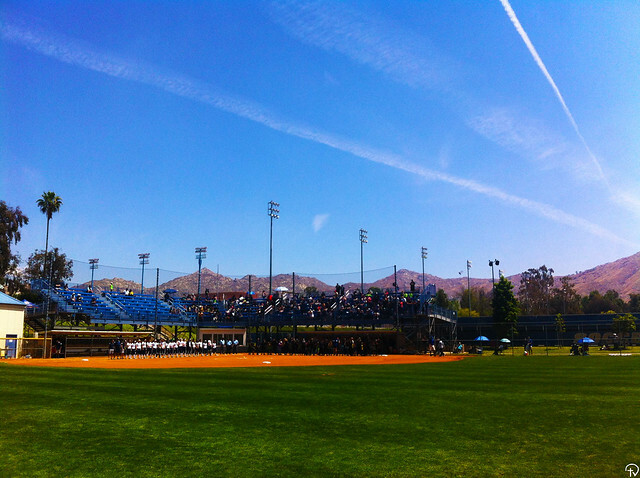 The sky yesterday in Riverside was extremely blue and only marred by the jet trails left by overpassing planes… It made for a very pretty backdrop for the game. 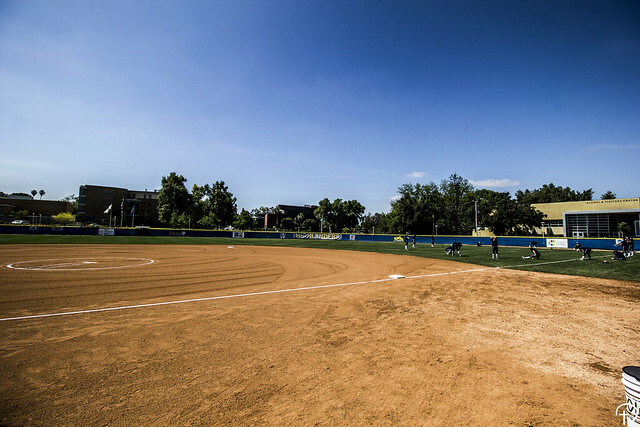 The first two shots were taken from center field right after lineups with my iPhone 4 but the last one was me goofing off with the wide angle lens during warmups. 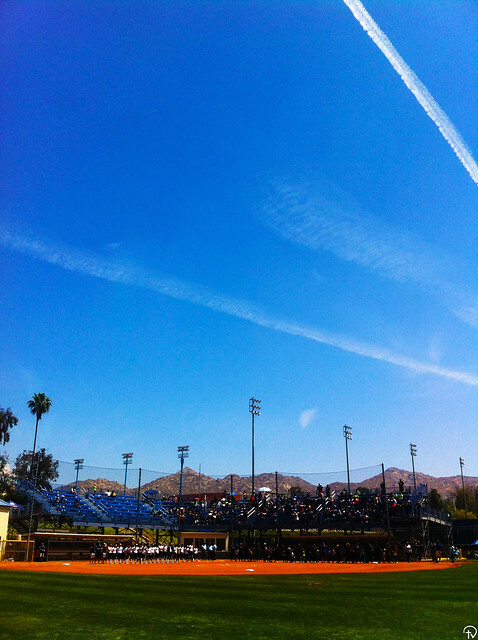 The jet trails actually add nice balance to the picture. Nice. I like stadiums. 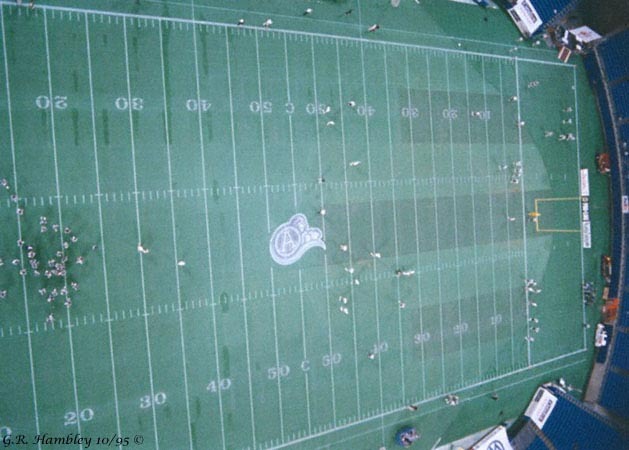 How do you feel about a football field from way way up and no sky? I think that could be pretty cool depending on the stadium… By way, way up do you mean with a hovercraft camera or at the highest point inside the stadium? Wasn’t quite the highest point in the catwalks of “Sky Dome”, now “Rogers Centre” but up there. Up there refers to being up there with a camera. There is really only one rule when you go up, “DON’T _ _ _ _ _ _ _ DROP ANYTHING!